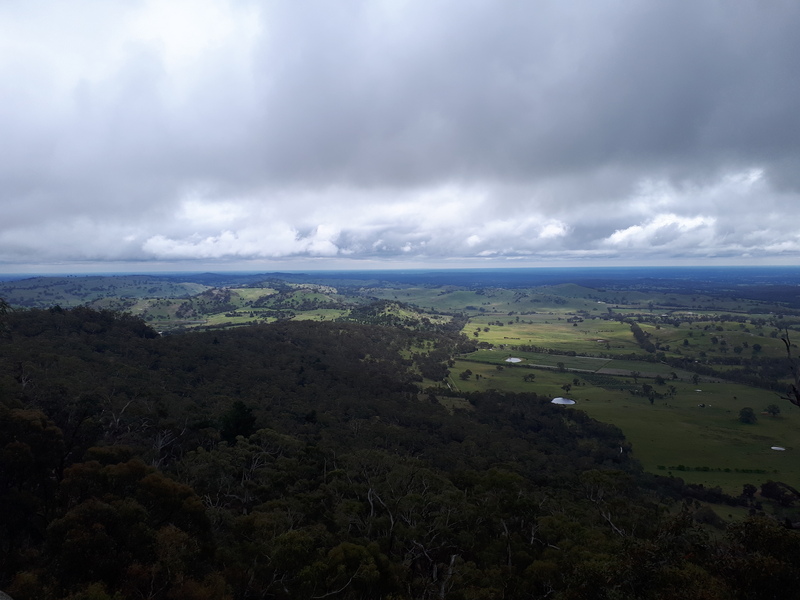 I turned in the direction she pointed to see a mob of kangaroos—20, 30 of them?—bounding through the eucalyptus trees. Once they’d vanished into the forest like phantoms on pogo sticks, we sat atop the ridge to harmonize on our harmonicas. None of the roos we serenaded complained, but none gave us money either. 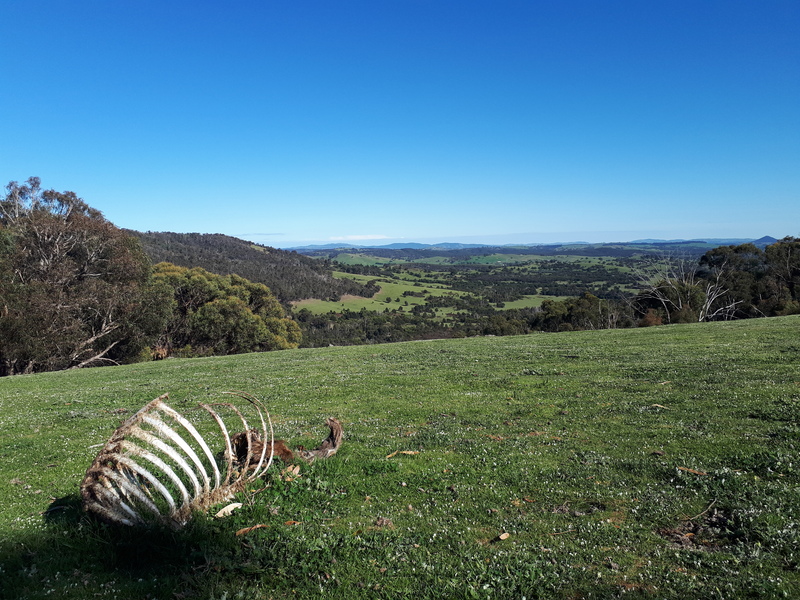 The view from the ridge, complete with a kangaroo ribcage for effect. Two days and an hour’s train ride later, I rolled out a sleeping bag in some Christian students’ living room in a cool little city built on 19th-century gold rush wealth. I’d meant to explore the science buildings at the local university, but soon got lost and landed at the campus chaplaincy centre. A bearded face looked up as I peered through the open door, and the man, a Lutheran pastor, invited me in to see the donated items which his congregation had provided students. Handknit scarves, I realized, Exhibit A of yet another way Christian community members can invest in students using whatever tools they have—in this case, knitting needles. 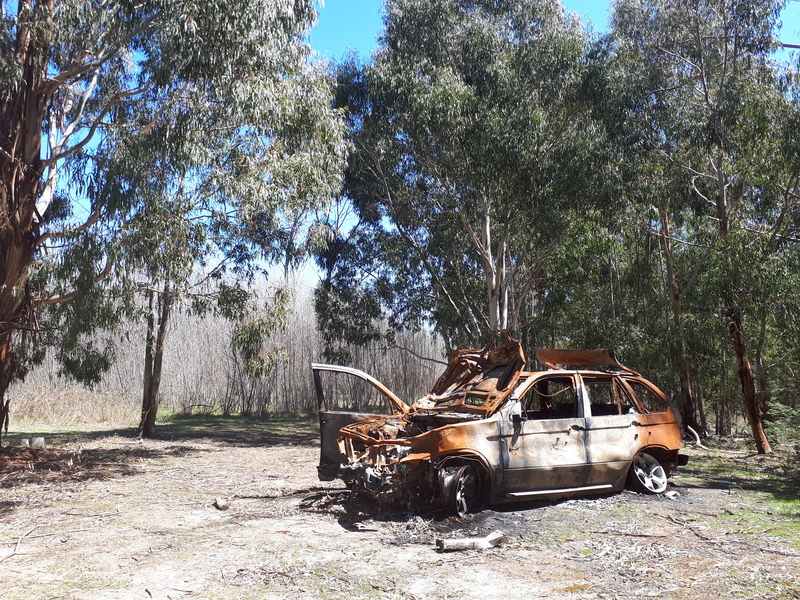 After descending from the ridge described above, we found this epic abandoned vehicle which may or may not be riddled with bullet holes. Later that evening, I joined at least 30 students for a solid, in-depth Bible study on Exodus, complete with a dinner provided by—you guessed it—an older couple from the local Christian community. I heard the appreciation in students’ voices as they thanked the seniors, even toward the evening’s end when I opened my laptop for some final interviews. “What advice would you give a Christian who’s new to university?” I asked one student. Another student, a girl doing outdoor education, echoed this exactly. I nodded, remembering the many conversations I’d had with other students who had reached the same conclusion. By now, her face had become radiant. 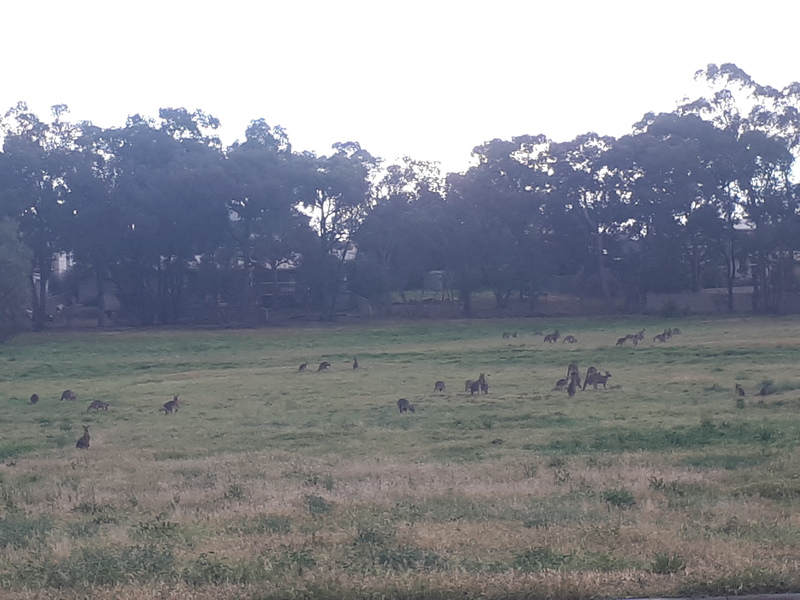 About 38 kangaroos lived across the street from where I was staying. I’d sometimes watch the young ones practise their boxing. But building relationships with other humans isn’t the only kind of fellowship we need to be practicing, as my new outdoor ed friend explained. “So how can the church support students doing this?” I asked. 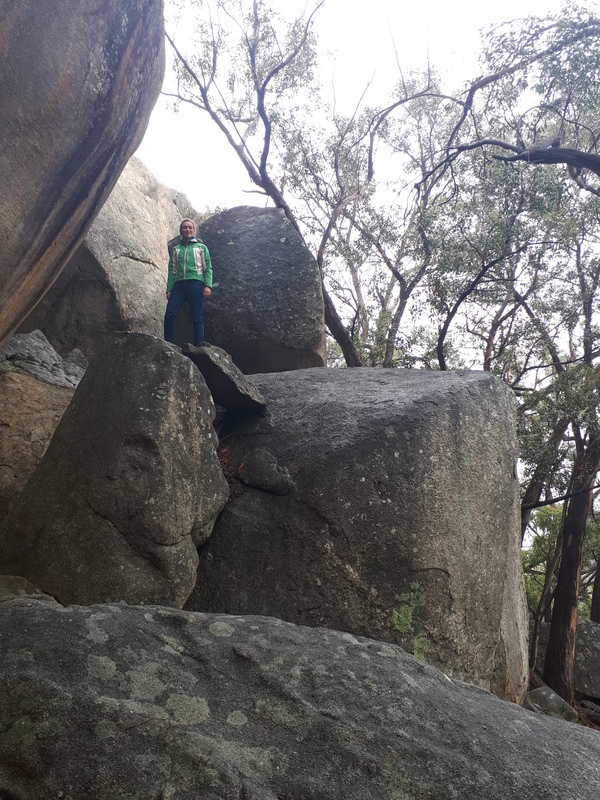 My new outdoor ed buddy took me to explore a popular rock climbing site, a natural castle of house-sized boulders. Suddenly, the pieces were coming together, colliding in place to form an image that seemed so simple, but made so much sense, that I wondered why I’d never seen it before. That way, the older church members could encourage students’ growth while spending time with them doing a meaningful activity. Christians outside the university could actively seek to serve alongside Christian groups on campus, or students could search out opportunities to serve with local Christians outside campus. Either route, I suspected, would result in the strengthening of relationships both amongst the servers, and between those serving and those being served. This image of Christian community, I realized, looks nothing like the older trying to keep the younger ‘in church’ by segregating them away from the rest of the church family to play games in a corner over spoonfuls of sugar-coated theology. It looks like mature Christians actively speaking truth into the younger, instilling in them a taste for the things of God, equipping them to translate their Gospel knowledge into action–and then stepping right into the action alongside them. Maybe then, bridging the gap between young and old Christians doesn’t just start with an intergenerational service, but rather, with a culture of intergenerational serving.